Oh how I enjoy to get away for a weekend to sew. Many of you know that I used to facilitate several quilting retreats a year. I enjoyed those immensely, but much of the time was not my own. I now only facilitate the Quilt & Sew-in Retreat in Blowing Rock, NC and have a ball. 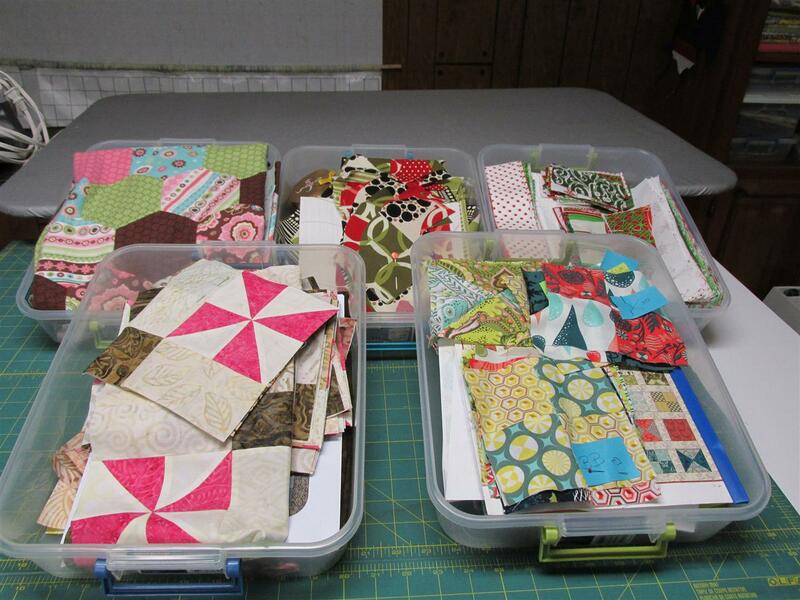 When a few of us quilters get together for a sewing weekend, I thoroughly enjoy to sew, sew, and sew. I am packed for this weekend and am taking several projects that are already started. Most are on my list of UFO’s with my guild’s challenge. Here’s a peak at what I will be working on. I always bring more than is humanly possible to complete. It not only gives me a backup if I make a really bad mistake (who me? ), the choices keep me from getting bored. I often switch back and forth, from one project to another. Check back next week and see how much I was able to accomplish – I can’t wait to see! Posted in Quilting, Quilting Retreat, Scraps, Stash and tagged challenge, projects, Quilting, Quilts, Retreats, Scraps, UFOs. Bookmark the permalink. Have a great time, I hope to make the next retreat!